The lights go out. You’re in darkness.It could have been a car crash that took out the neighborhood’s transformer or a brownout from too much stress on the power grid. Even worse, it could have been the ice storm that just hit and brought down trees on the power lines. It could be weeks before the power is back online. You don’t know; you might never find out. And right now, you don’t care. Your priority is lighting. 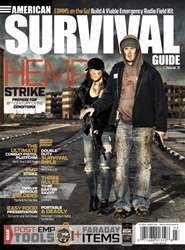 The traditional approach—the quick fix—is to reach for an LED flashlight or a battery-powered LED lantern. But this time, it’s different: There is no power when you flick the switch and, as far as you can ascertain, the batteries are drained somehow or the circuits are fried (maybe a HEMP damaged the circuitry after all). You still need light and, luckily, you still have your senses. You find a BIC lighter in your pocket and then the candle from your end table. 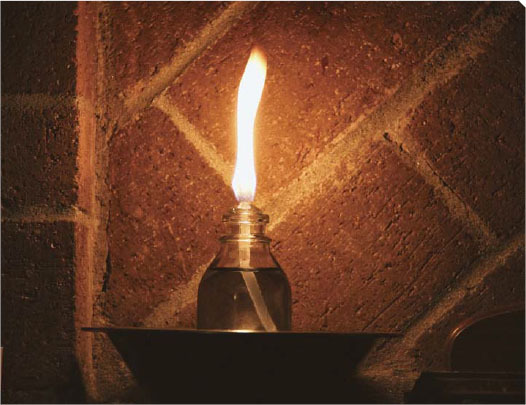 Your light problems are temporarily addressed … but that candle will eventually burn out. What next? A glass bottle lamp sits in a metal container illuminating the author’s living room. Depending on the length of the wick, the flame will vary in height and light output. If open flames are not a concern, one of the quickest and most field-expedient lamps made is the aluminum or glass-bottle variety. 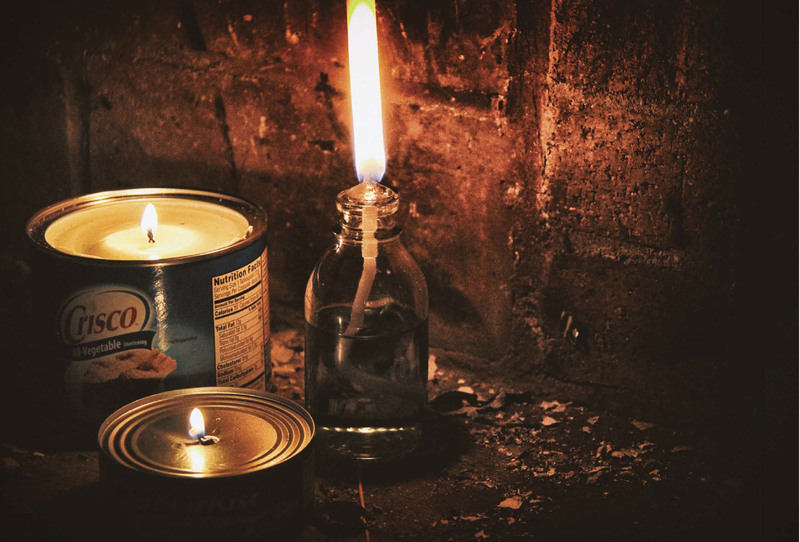 The only items needed for the most basic light are a container, fuel and a wick. Improved versions include those with wicks wrapped in lightweight wire to provide rigidity, along with heat reflectors made from folded aluminum flashing or an aluminum can opened into a hollow cylinder. If this type of lamp is used outdoors, citronella oil can be used to provide insect protection, as well.